Luella V. Vandegriff died Wednesday November 14, 2018 at the age of 92 while a resident of Brookdale Assisted Living, in Delta Township Michigan. Luella was born Saturday, May 15, 1926 in East Jordan, Michigan to Archie and Lucy (LeVanway) Misner. She married Chester Vandegriff in May of 1946 and he preceded her in death. Surviving Luella are their three children; Emojune DeSander, Chester (Wilma) Vandegriff, and Gary (Patricia) Vandegriff, her two daughters in law; Sue Vandegriff and Sandy Vandegriff, her 16 grandchildren, 29 great grandchildren, and 1 great great grandchild. She was also predeceased by her sons; David Vandegriff and Dennis Vandegriff as well as her son in law Charles A. "Chuck" DeSander. Luella worked for over 20 years as a line worker at Liquid Glaze. She was also employed at Hazel I. Findlay Country Manor in St. Johns. 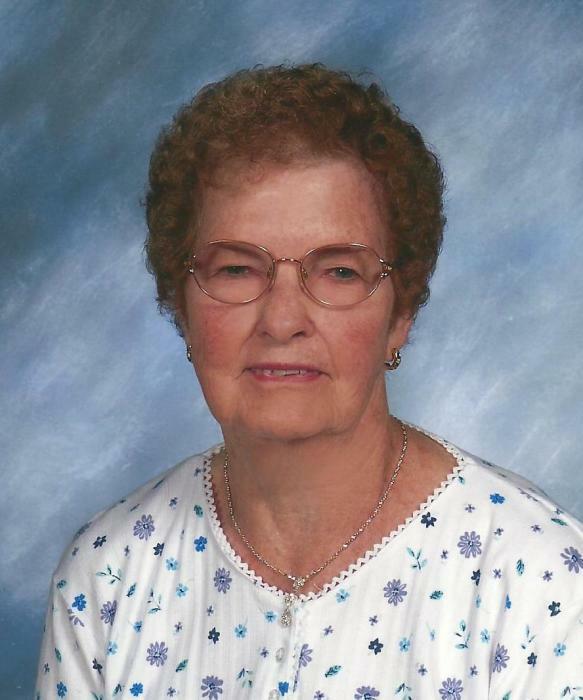 She enjoyed square-dancing, quilting, bowling and being involved with her family, Luella actively participated in playing with her great grandkids in whatever they were doing well into her 90’s. Funeral Services for Luella will be held at 1:00 PM Tuesday, November 20, 2018 at Keck-Coleman Funeral Home, 1500 Waterford Parkway, St. Johns, MI with Pastor Andy Croel of Pilgrim United Methodist Church officiating. Burial will follow at Mt. Rest Cemetery in St. Johns. The family will receive relatives and friends Monday, November 19 from 4:00 to 8:00 PM at the funeral home and from 12:00 Noon until the time of service Tuesday. Memorials may be made to Compassus Hospice, 801 S Waverly Rd #200, Lansing, MI 48917 or to the Alzheimer’s Association, Michigan Great Lakes Chapter 2111, University Park Drive, Suite 200, Okemos, MI 48864.